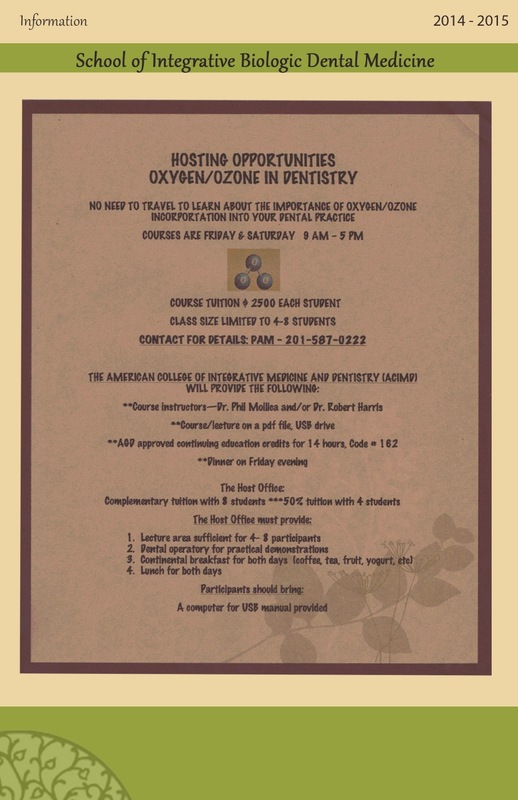 Patient Treatment: In patient care, ozone is utilized in two forms: (1) ozonated water and (2) pure oxygen/ozone gas. Using these two agents in combination allows the Dentist to treat all oral infections using only oxygen and water! Regardless of the location or the type of infection ozone is able to treat almost any situation. The ozonated water is the perfect irrigation solution for periodontics and endodontics. For operative dentistry, periodontics and endodontics, ozone gas is used to reach and penetrate areas such as: carious dentin, dentinal tubules, accessory canals and periodontal pockets where no other antibiotic or disinfectant can reach. This is possible because the infection/inflammation is positively charged (acidic) and ozone is negatively charged. (basic) Therefore, the chemistry of the infection and/or inflammation attracts the ozone to the area.